What’s That Word? A Fun Way to Build Vocabulary is workbook full of fun vocabulary activities for teaching college-prep words in an entertaining way. The 36 classroom-tested lessons are chock full of laughs. What’s That Word? uses word-play, jokes, puns, puzzles, amusing stories, and verbal “jousting” to build vocabulary. It’s a vocabulary escapade! Because the activities teach vocabulary in such an amusing way, students easily remember the words. It really works! “When I started teaching, I was given random, alphabetized lists of words for teaching vocabulary. The words had been grouped by supposed ‘difficulty.’ And they bored me to tears! If they bored me, I could only imagine what effect they were having on my students. So, I set out to come up with something a little more interesting and a lot more fun. Then, the exercises in each lesson finish the job. They’re based on brain research. Students need to be exposed to new words at least five times in order to really learn them. It also helps in learning vocabulary if students can read, write, hear, and speak the words in context. So, that approach is built in. I also created fun ways to measure students’ progress. Like using crossword puzzles in place of tests, for example. I took the crossword puzzles and got them enlarged to use with the whole class. As a stand alone group activity, the puzzles make great warm-ups. 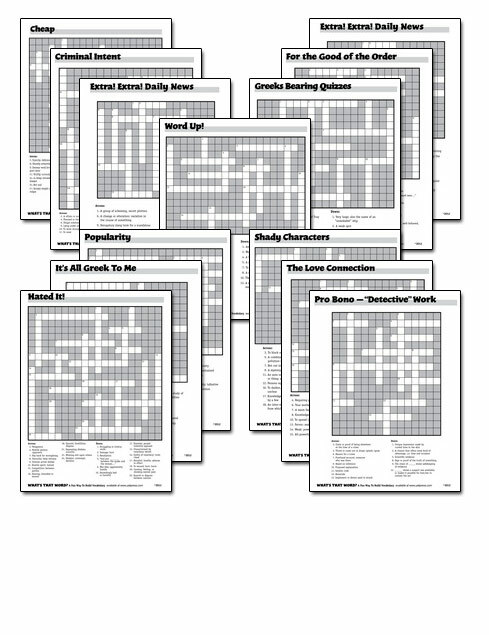 However, used in conjunction with the lesson, these giant crossword puzzles work well for reinforcing the vocabulary words. “What’s That Word? 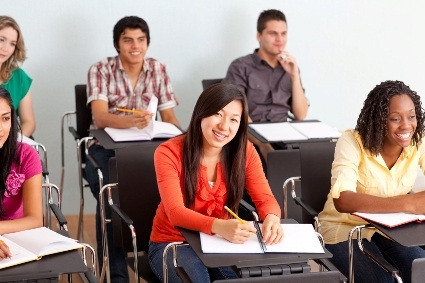 brilliantly engages high school students by both challenging and encouraging them to utilize language in ways they respond to best: creative writing exercises, clever word games, and contemporary worksheets. Ms. Yale, an accomplished educator, has written a fun vocabulary activities workbook guaranteed to capture the focus of students everywhere; her thematically organized chapters keep each assignment connected to the following assignment–and much like a compelling narrative, students are propelled to complete their assignments. She has packaged the SAT vocabulary list like Disneyland. Your students will be too busy enjoying the rides to recognize the required language arts standards they are surpassing. In addition, you will appreciate the whimsical illustrations, the visual puns, and the chatty fill-in-the-blank exercises throughout the book. This is a vocabulary workbook for 21st century educators and students alike.” ‒ Nancy Carroll, #1 At Home Tutoring, Inc.